The Big Busk’s popular, free “try-it-out” music room will be back when Shrewsbury’s street music festival returns on 6 April and this year it will be run by Music Heroes. Music Heroes is an instrumental tuition service offering private tuition and in-school tuition across Shropshire and Powys. It was set up by Gayle Kinsey in 2016 following the success and growth of her private Piano tuition and now provides instrumental tutors to schools in Piano/Keyboard, Guitar, Ukulele, and more. Music Heroes will give youngsters the chance to try their hand at a range of instruments in the comfort of the Claremont Baptist Church. The sessions are free, but donations in aid of Shrewsbury Ark will be welcomed. Gayle said: “We are delighted and so excited to be involved in The Big Busk. “We’re passionate about all children learning to play a musical instrument. We aim to provide contemporary instrument tuition in a way that is fun, child-centred and affordable. 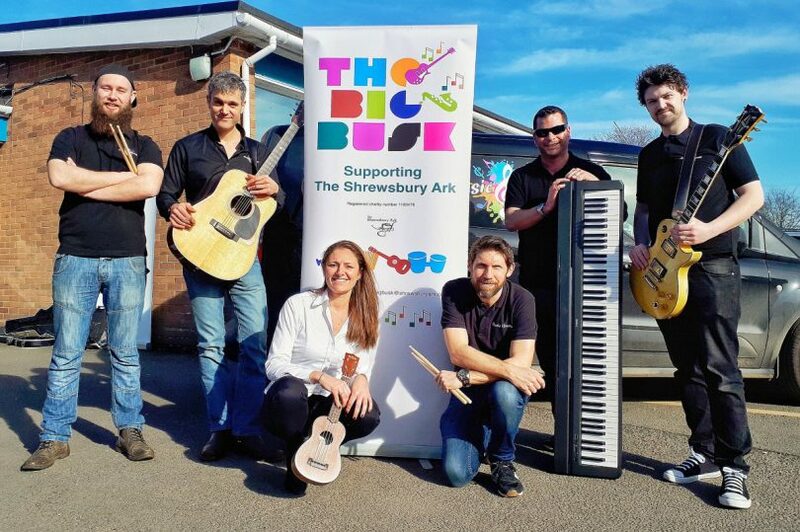 The Big Busk is returning to the streets of Shrewsbury after taking a year out in 2018. The Busk was first held in 2013 in memory of talented musician, poet and artist Ben Bebbington, who died after an unprovoked attack by two men in September 2012. This year’s event will take place on what would have been Ben’s 50th birthday.